The Roberto Coin Pois Moi collection celebrates the modish look of 1950s televisions, and this fabulous bracelet is no exception. 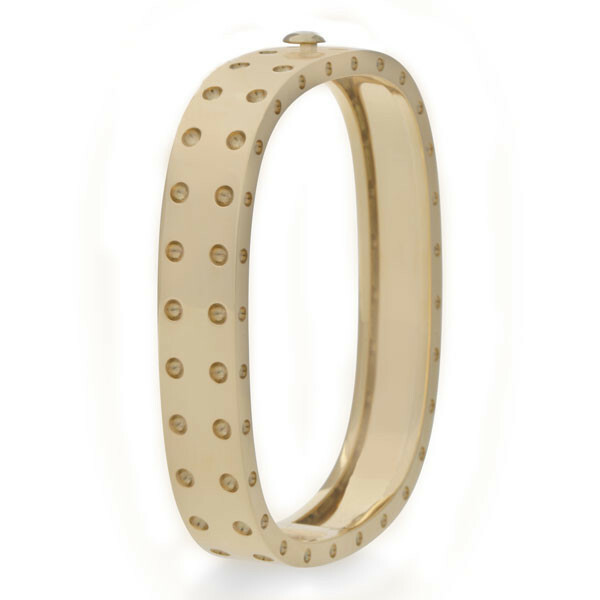 Lush 18kt yellow gold is fashioned into a square bangle with rounded edges. Two rows of dimples add to the chic style of the piece. 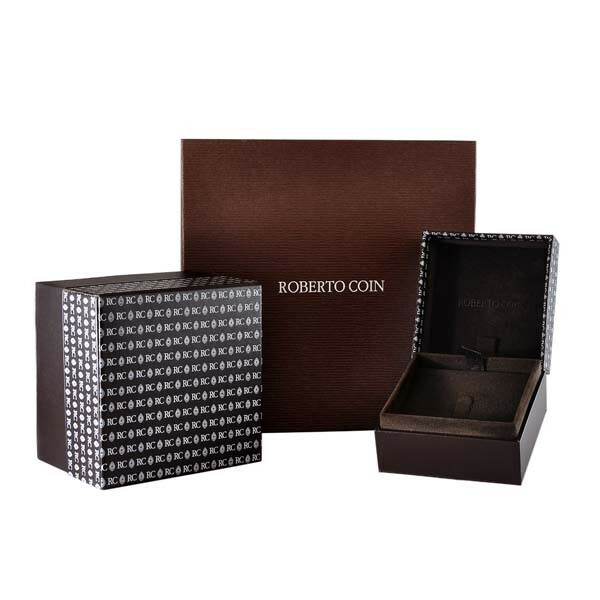 Any worldly woman would love the sophisticated style of the amazing Roberto Coin bracelet!